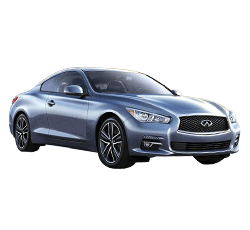 The 2015 Infiniti Q60 is an exciting sports coupe that vows to keep the driver entertained. Although there are other alternatives on the market, the Q60’s array of standard features makes it a solid choice. Unlike some of the competition, the Q60 still offers a traditional manual gearbox. 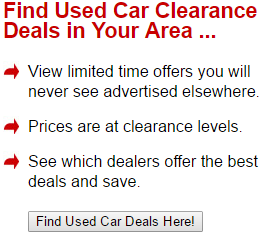 The available drop-top model is among the most attractive convertible cars in its price range. Infiniti has a reputation for producing high-quality vehicles, so the Q60’s resale value is likely to remain high. Only a few changes have been made for the 2015 model year. However, Infiniti does offer a new “Hagane Blue” paint job. Prospective buyers can also purchase a new Limited trim. Unfortunately, the high-performance IPL coupe will not be offered this year. The hallmark of the 2015 Infiniti Q60 is its 3.7-liter, V-6 engine. With a total output of 330 horsepower and 270 pound-feet of torque, the muscular engine enables the coupe to move out in a hurry. During performance testing, the Q60 has able to hit 60 mph in about 5.7 seconds. A seven-speed automatic transmission comes standard on the new Q60. Fortunately, drivers can also opt for a six-speed manual transmission. This is exciting news for the drivers who love shifting their own gears. However, keep in mind that the automatic transmission is also available with shift paddles. On the road, the Q60 proves to be an extremely nimble driving machine. Even the base model remains well-planted in all driving situations. While the standard suspension system is very comfortable, the optional sports-tuned suspension enables the Q60 to handle like a pure-bred sports car. Like most traditional sports cars, the 2015 Infiniti Q60 comes standard with a rear-wheel-drive system. Buyers can also upgrade to an AWD system. The extra traction truly comes in handy during the winter. On the outside, the Q60 is an artistic masterpiece. The coupe’s aerodynamic shape gives it a very sporty road presence. While the standard model looks stunning, the Limited trim brings even more attitude with its 19-inch black wheels and custom-looking grille. Even the base model features xenon headlights. Although most Q60 fans will choose the coupe, the convertible model is just as rewarding to drive. At the touch of a button, the retractable hardtop quickly descends into the trunk area. Featuring a performance-tuned engine and a number of styling enhancements, the Infiniti Performance Line model is designed for the drivers who have a thirst for excitement. Every driver will benefit from the Q60’s excellent braking system. During emergency situations on the road, the braking system is designed to apply maximum force. If desired, prospective buyers can further enhance their braking performance with an exclusive Brake Assist feature. The 2015 Infiniti Q60 is equipped with enough safety features to satisfy most drivers. While a rear-view camera comes standard, the Q60 can also be equipped with rear parking sensors. A Vehicle Dynamic Control system helps the car to remain stable at all times. The auto-dimming rear-view mirror certainly comes in handy at night. While the Q60 has been engineered to deliver a fun driving experience, it still packs a number of luxurious features. Some of the standard items include a touch-screen interface, key-less ignition, and leather upholstery. The available high-tech options include navigation and a powerful Bose audio system. The Q60’s user-friendly interior allows the driver to just sit back and relax. All of the surrounding materials are topnotch. Like many of today’s sports coupes, the 2015 Infiniti Q60 does not offer a lot of room for the rear-seat passengers. While small children will remain comfortable, most adults will feel restricted. Unfortunately, the high-performance Infiniti Performance Line model is no longer offered in the form of a coupe. With a highway fuel economy rating of 27 mpg, the new Q60 promises to deliver reasonable efficiency on the open road. However, the city fuel economy dips below 20 mpg. While the BMW 4 Series is a tad bit more powerful, the Q60 can still match its athleticism on the road. Some of the other competitors include the Cadillac ATS Coupe, the Lexus RC 350, and the new Ford Mustang EcoBoost. Although the Mustang EcoBoost matches its performance, the Q60’s available AWD system gives it a big advantage on snowy roads. Drivers who are in the market for a high-end sports coupe should definitely take a look at the Q60. The car’s agile performance on the road makes it an entertaining daily-driver. Expect to pay roughly $50,000 for a base Journey model.